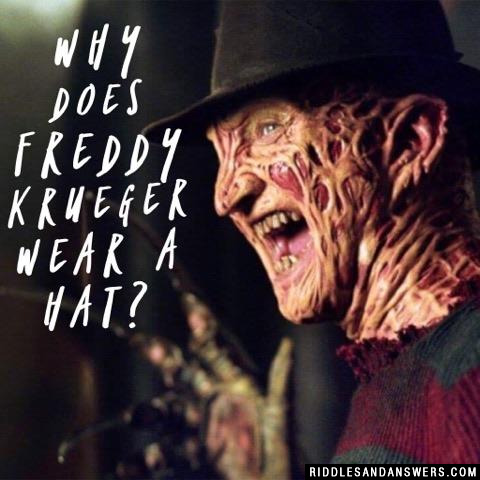 Why does Freddy Krueger wear a hat? He ran out of scare spray. What's the first thing a sorority girl does on Friday The 13th? Nothing. She's the first to go. What pants do ghosts wear to the Friday the 13th dance? Why didnt the skeleton want to go to the Friday the 13th dance? What do you get when you cross Jason Voorhees and a box of Cheerios? 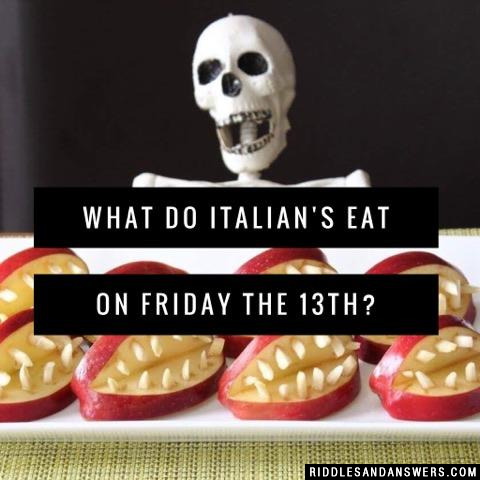 What do Italian's eat on Friday the 13th? What's Jason Voorhees favorite bean? 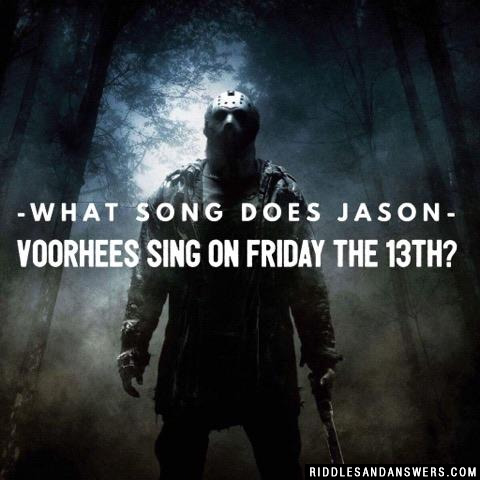 Can you come up with a cool, funny or clever Friday The 13th Riddles of your own? Post it below (without the answer) to see if you can stump our users.